We report on rupture directivity during 8 and 10 May 2014 earthquakes (Mw 6.5, 6.1), which occurred on the Mexican subduction thrust in the Guerrero seismic gap. The two events were located near each other and SE of the area that had ruptured in an Mw 7.2 earthquake on 18 April 2014. Near-source recordings show that the rupture during the 8 May propagated roughly along the strike towards ESE, while the directivity during the 10 May event was in the opposite direction. Analyses of the ground motions produced by the two earthquakes at regional distances (spectral ratios, ratios of peak ground accelerations and velocities, observed ground motion parameters, and radiated seismic energy) exhibit strong azimuthal variation, consistent with the directivity. As expected, the motions were enhanced in the forward direction. Since the attenuation of seismic waves from coastal earthquakes is slower along the inland path as compared to the coastal path, the ground motions during the 8 May earthquake at inland sites in the forward direction were exceptionally large. It follows that the combination of the two effects during future large/great earthquakes in the gap may lead to destructive ground motions at inland sites even at regional distances. The combined effect may have been one of the causes of the unprecedented number of deaths and injuries, and damage in Mexico City during the 1985 Michoacán earthquake (Mw 8.0) which ruptured a nearby subduction interface with a ESE directivity. 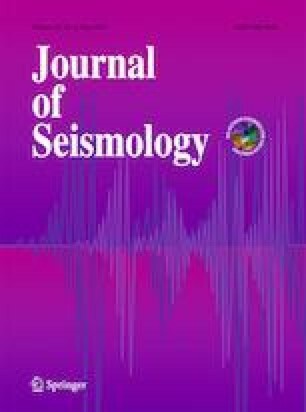 The data used in this study were provided by the Servicio Sismológico Nacional (SSN, Mexican National Seismological Service), and Red Acelerográfica del Instituto de Ingeniería (IING; http://aplicaciones.iingen.unam.mx/AcelerogramasRSM/), Universidad Nacional Autónoma de México (UNAM, National Autonomous University of Mexico); we thank the personnel of SSN and IING for station maintenance, data acquisition, and distribution. We thank an anonymous reviewer and Kazuki Koketsu for their comments. The research was partially supported by UNAM, PAPIIT project IN101018 (S.K.S. ).